Children under 12 may ride the hobby horses. Riders 12 and older may stand by the horses or ride on the gondolas. The popularity of the American Carousel soared and at one time estimated to be around 4,000 Carousels with beautifully carved horses that graced the U.S. Today, that number has dwindled to fewer than 150. 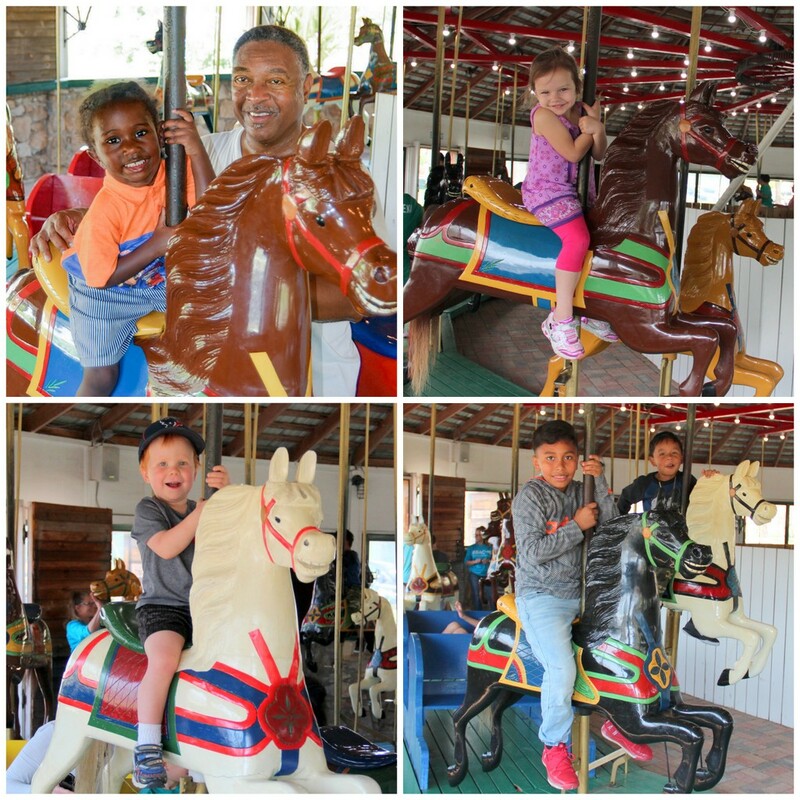 Brenham's Flying Horses Carousel is only one of five surviving classic wood Carousels that exist in Texas. According to the National Carousel Association, Brenham's Flying Horses Carousel is the oldest in Texas and one of the few remaining Carousels consisting of Charles W. Dare horses. 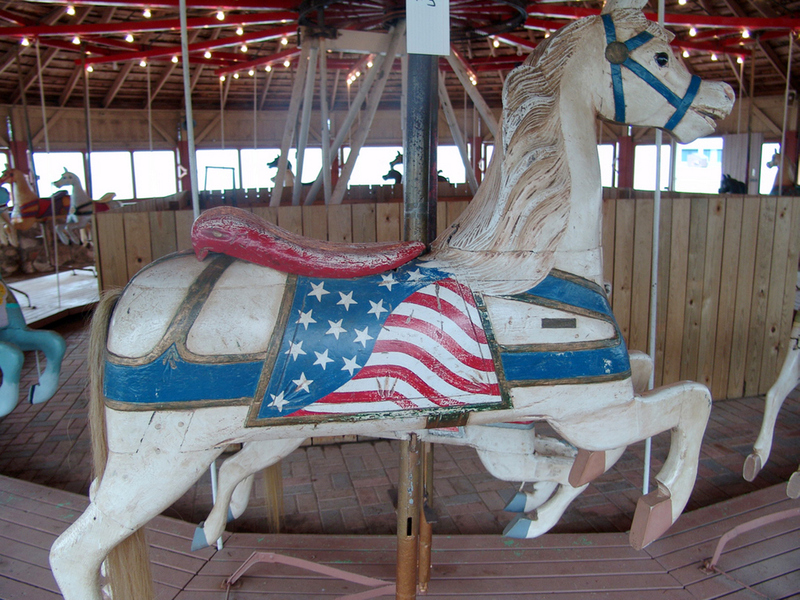 There are three styles of Carousel horses: Philadelphia, Coney Island and Country. Our horses are carved in the "country fair" style. 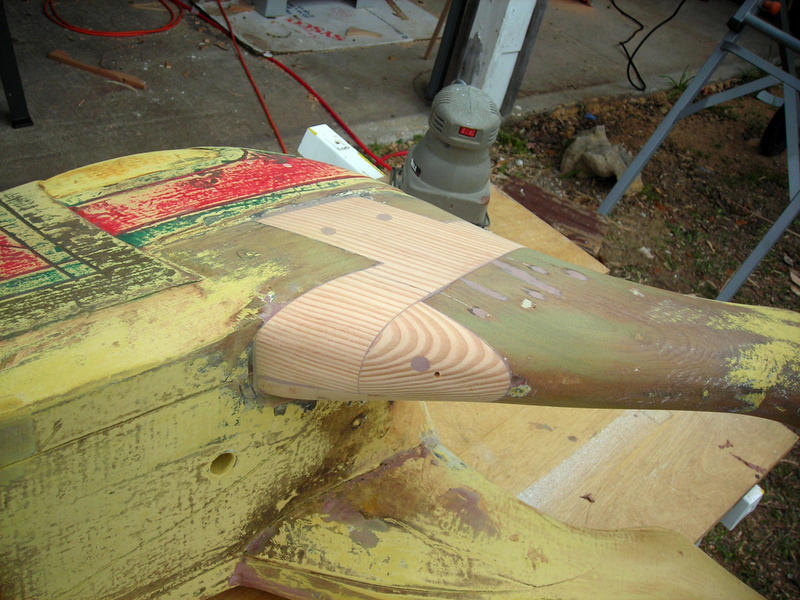 Those were a sleek style, with form and function as closely united as the wooden horses and their built-in saddles. The horses seem to fly, with manes and tails carved to give an appearance of speed. Building each horse to conform to the same mad dash pose had a two-fold benefit. The animated sense of speed appealed to the customers' imagination, and the identical leg position satisfied the traveling fair or carnival's need to erect and dismantle rides in a hurry. The National Carousel Association assisted in identifying the horses as being manufactures by Charles W. Dare, a hobbyhorse and toy manufacturer who entered into the carousel manufacturing business in the last quarter of the 19th century. The overall forms of the horses including the manes and the running martingale - a leather thong that linked the bridle with the chest strap and prevented horses from throwing their heads back are consistent with the Dare style. The carousel frame was not manufactured by Dare. During a recent restoration, an imprint of C.W. Parker, Leavenworth, Kansas, 48 2H, was found on the carousel's turning mechanism. This confirms that the structure dates to the Leavenworth years, which started in 1911. Interestingly, a few of the horses also bear the tags of the Armitage-Herschell company of New York. Armitage-Herschell also manufactures horses in the country fair style. It is not known if these particular horses were purchased by Armitage-Herschell from Dare stock or were refurbished by them. Our carousel was discovered in 1930 by Mr. Hugh Durden in Clay, Texas. It was left in a pasture years earlier, during the Depression, by a carnival that couldn't afford to pay rent on the land they used for their carnival. Mr. Durden saw the potential of the old Carousel and told members of the Washington County Fair Association about how it could serve our community. F.C. Winkelmann, Hans Schleider, and O.H. Fischer returned and braved swarming hornets to rescue the Carousel from the pasture and moved it to Brenham for repair. O.H. Fischer, owner of Brenham Furniture Repair and Clarence Fischer refurbished the 24 horses, to the delight of the community. "It turned out that a traveling carnival had set up there several years earlier and then didn't make enough money to pay the rent for the pasture. So they just left their 24-horse Carousel there. We got those hobby horses for a very reasonable amount, somewhere around $30, which is good because it cost a lot of money to restore them." F.C. Winkleman, Jr. In the Fall of 1932, the newly repaired Carousel made its debut at the Washington County Fair on October 12, 1932. Tickets were 25 cents for six rides. In 1935, a 16-sided building built by the Works Progress Administration, WPA, was constructed to house the horses. 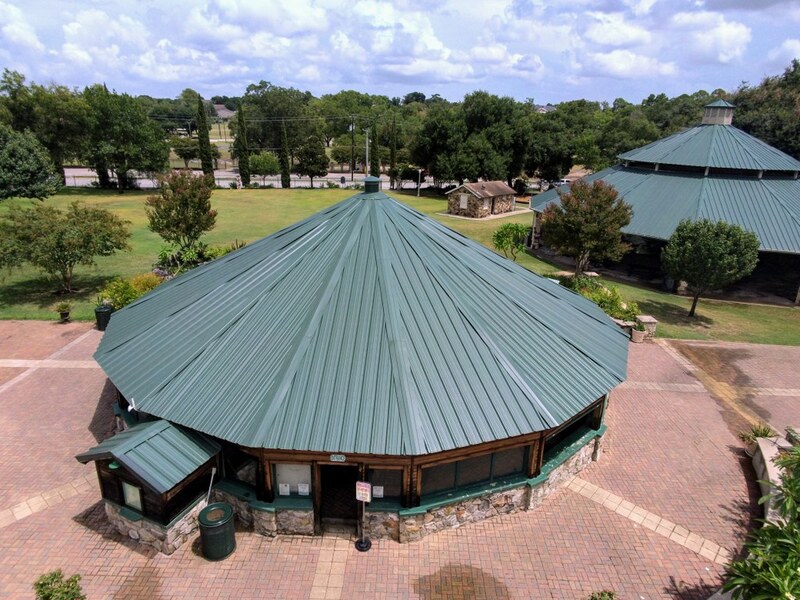 Since its purchase, many dedicated citizens of Brenham and Washington County have been involved in the care, maintenance, and enjoyment of the Carousel. The Carousel was cared for and operated by the Brenham Jaycees for many years. In 1986 they raised funds for much-needed restoration through their "Adopt-a-Horse" campaign. Businesses, families and civic groups adopted many of the horses raising the necessary funds for restoration. Jack Sommers, and antique restorer and his daughter Gail Baker disassembled, rebuilt and repainted each horse. In 1989 the Brenham Jaycees disbanded and the Brenham Noon Lions Club took over the responsibility of the Carousel. The Lions concluded that many of the 100-year-old parts needed to be replaced. The original manufacturer of parts, C.W. Parker Manufacturing Co., had been purchased by Theel Manufacturing in mid-1940. As luck would have it, Theel Manufacturing still had parts for our Carousel in stock. We ordered and they delivered as if time stood still. 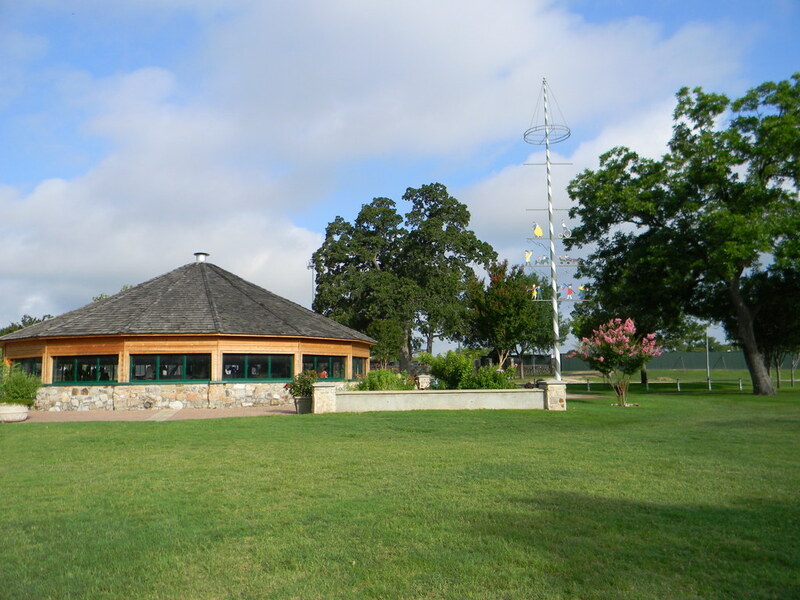 In early 1999, the Brenham Noon Lions Club, in conjunction with the City's plans to renovate Fireman's Park, removed much of the dirt under the carousel and installed a brick-paved floor which compliments the décor of the park and makes it much easier to maintain the carousel and the building. At the same time, the controls which start and stop the carousel were moved outside the perimeter of the carousel to make operation a much easier task. In 2005, the City closed the carousel because of damage to the horses and two years later began a restoration project of the carousel as part of improvements to Fireman's Park. Another fundraising effort named "Rally Round the Carousel" helped raise funds for additional work on the Carousel. Donations from private individuals and funding through the Brenham Community Development Corporation allowed the horses and their home to be totally restored. The carousel was re-opened in May 2008 and is once again making memories. It is the pride of the community, since it is a unique carousel, and many who rode it as children have returned with their children and grandchildren to enjoy it again and again.